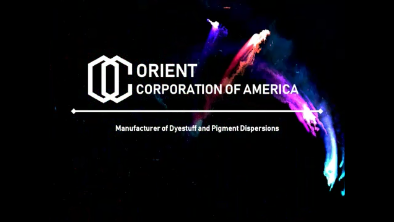 Ultra-fine pigment dispersions with a chemical treatment process developed by Orient Chemical. Functional colorants for ink used in inkjet printers. The BONJET® Series are water-based dispersions which have been made by a chemical treatment that keeps acidity on the surface of the carbon black. This product does not contain any dispersants or resin. The Carbon Black disperses in water similarly to the way in which a dye would dissolve in water. Since this dispersion does not use a physical grinding method, we have the ability to make and control the ultra-fine particles which range between 65 nm and 150 nm. The BONJET® Black Series maintains the lightfastness and heat fastness properties that are typical of any carbon black. This product also maintains a very stable particle size and sharp distribution. 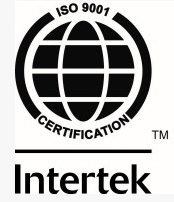 The BONJET® Black Series solution will remain extremely stable due to the fact that we do not add resin or additives. This product will not condense or precipitate when resin and additives are added. Resin and additives are added to pigment dispersions to give it flexibility and luster. Dispersions using dispersants sometimes have condensation and precipitation arising from problems in solubility between the dispersant and resin or additives. There will not be any problems with resin or additives being added to Bonjet because it does not contain any dispersants. You can add any type of resin or additive freely to BONJET®. Chemical treatment makes the conductivity of BONJET® lower than regular carbon blacks. Carbon Black is a polycyclic aromatic compound. Hydrogen and oxygen which bond with carbon on the surface of the crystal will limit the movement/position of π-electrons. Accordingly, the conductivity of carbon black decreases as there are more C-H or C-O bonds. The conductivity of BONJET® is lower than that of regular carbon black because the C-Acid function bond produced by the chemical treatment developed by Orient. Excellent re-dispersibility. Carbon black with dispersants cannot re-disperse once it is dried. However, BONJET® can re-disperse from a dried state when water is added. High absorbency. BONJET® has excellent dispersibility, but it also has excellent water fastness once absorbed on paper or cloth.